Place cards printed with your custom design. Place cards may be personalized with guests' name, table number, and meal choice. A spreadsheet is required for personalized place cards. Download a template here. You may also email it later to admin@newandblue.com. 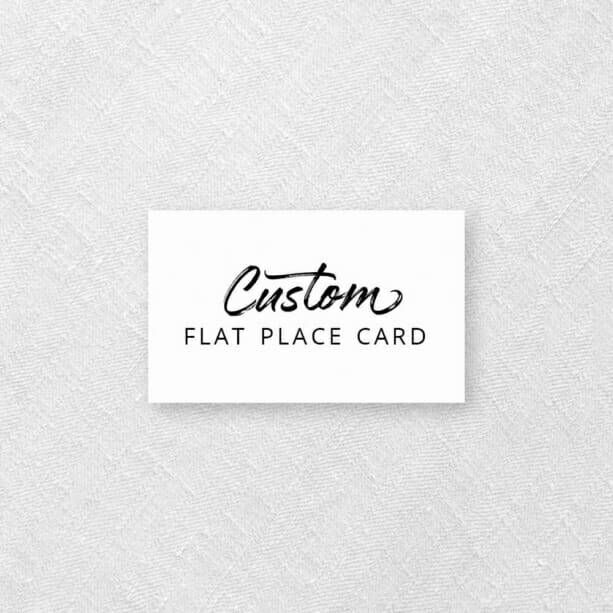 Custom printed place cards are available in your choice of 3 card stock colors. Place cards can be folded or flat and you have the option to get them printed with your guests’ name or left blank. Folded Card: Folded cards measure 4″ X 3.25″ and will have a crease added for easy folding. Perfect!New & Blue is great, these place cards were the final piece of our wedding planning. They worked with us to correct some last minute changes our parents demanded. Shipped everything incredibly fast, so that we had them in hand for the day of the wedding. Thanks you guys for everything.